With an eye on innovation, and cultivating global change, Adriana Cisneros, CEO of Cisneros Group, and Aryeh Bourkoff, the Founder and CEO of investment and merchant bank LionTree, are investing in the future. In an illuminating conversation, Adriana Cisneros and Aryeh Bourkoff will discuss some of the groundbreaking projects that Cisneros and LionTree are focused on, and the impact that they will have. From the first ever space cellular broadband network dedicated to providing connectivity to untapped regions, to an energy efficient, sustainable resort in the Dominican Republic financed through Green Bonds; The Paley Center for Media invites you to a forward thinking conversation that will not only touch upon what is next, but why it is next. 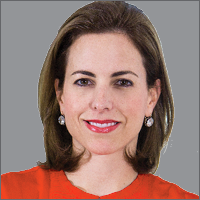 Adriana Cisneros is CEO of Cisneros, a privately held company with over 90 years’ experience operating businesses globally. The company today has three divisions. Cisneros Media, Cisneros Interactive and Cisneros Real Estate. Cisneros Media encompasses all of the Cisneros Media and Entertainment businesses. Cisneros Media produces content through Cisneros Media Distribution, which is distributed in over 100 countries and in 12 languages. Mobius.Labs Productions is Cisneros Media’s newest content business division that anticipates market trends and delivers tailor-made, cutting-edge creative imagery programming formats. Cisneros Studios is our one-stop creative facility that provides an unparalleled array of services: impressive sound stages, state-of-the-art post-production facilities and world-class support services. Venevision, Venezuela’s leading TV network, as well as a variety of cable channels with 25 million subscribers in Latin America (Venevision Plus + VePlus) and the U.S. (Venevision USA). Miss Venezuela is a multiplatform female oriented production house and one of the most prestigious and successful beauty pageants in the world. Cisneros Interactive is a leading digital ad network for mobile, online and audio serving the US Hispanic market and Latin America through Adsmovil, Redmas and AudioAd and most recently the representation for Facebook in 16 Latin and Central American Countries. Cisneros Real Estate develops high-end, sustainable resorts with a flagship development, Tropicalia in the Dominican Republic. AST&Science, Cisneros latest investment aims at bringing worldwide connectivity though LEO satellites. Adriana is President of the Fundación Cisneros, a not-for-profit organization, dedicated to improving access to education in Latin America. Adriana is Co-chair of Endeavor Miami, an organization that promotes high impact entrepreneurship. She is a Director and Executive Committee Board Member of the International Academy of Television Arts & Sciences (International Emmy’s) and a Trustee of the Paley Center for Media. Adriana is on the board of MoMA’s Latin American acquisitions committee. She recently joined the boards of Mattel, Inc., Parrot Analytics, the Knight Foundation and University of Miami. Adriana is a member of the Citibank Private Bank Latin American Advisory Board as well as an Advisory Board Member of Wyncode and TheVentureCity. Adriana holds a BA from Columbia University (2002) and a Master’s Degree in journalism from New York University (2005). Adriana is a Henry Crown Fellow, a Term Member at the Council of Foreign Relations and is a graduate of Harvard Business School’s Program for Leadership Development (PLD – 2010). Adriana was born in Caracas, Venezuela. She lived in New York for 15 years and currently resides in Miami Beach, Florida with her husband and two children. She enjoys long distance sports such as swimming, trekking, backcountry skiing and cycling. 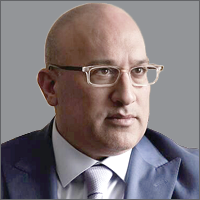 Aryeh B. Bourkoff is the Founder and CEO of LionTree LLC, an independent investment and merchant bank focused on the technology, media, telecommunications and the digital economy. Built to adapt to today’s dynamic market conditions, LionTree selectively invests alongside its clients in creative transactions on which it advises. Founded in 2012, the firm is headquartered in New York with offices in San Francisco, Paris and London. In 2018, LionTree announced a strategic partnership with Searchlight Capital Partners to provide capital solutions to growing companies in the TMT Sector, called LightTree Capital Solutions. Additionally, Mr. Bourkoff oversaw the successful launch of Ocelot Partners, a SPAC focusing on attractive investment opportunities in the European TMT sector. Mr. Bourkoff is also the founder of Kindred Media, a media and podcasting business powered by LionTree. Prior to starting LionTree, Mr. Bourkoff served as Vice Chairman and Head of Americas Investment Banking at UBS and served on the UBS Investment Banking Executive Committee. Other positions Mr. Bourkoff held within UBS include Joint Global Head of Telecom, Media and Technology Investment Banking; Head of the Media and Communications Research Group; and a fixed income research analyst. Before joining UBS, he served as a high-yield research analyst at CIBC World Markets from 1997-99 and Smith Barney from 1995-97 where Institutional Investor ranked him the number one ranked cable and satellite analyst for seven consecutive years. Mr. Bourkoff is a director on the boards of select private companies. He serves on the board of Carnegie Hall, the Royal Academy of Arts, and is a member of the Council on Foreign Relations. Additionally, Mr. Bourkoff is a member of the Board of Trustees of The Paley Center for Media, the New York Philanthropic Advisory Board of UNICEF, and Lincoln Center’s Business Advisory Council as well as the Lincoln Center Media & Entertainment Council. He also has produced several documentary films including “The Last Jews of Libya” and “Out of Print” which were featured at Sundance. A graduate of University of California San Diego, Mr. Bourkoff lives in New York with his family. Media Council Members can view the live stream of this event beginning at 1:00 pm ET on Monday, April 29.